Where would we be without inspiration? 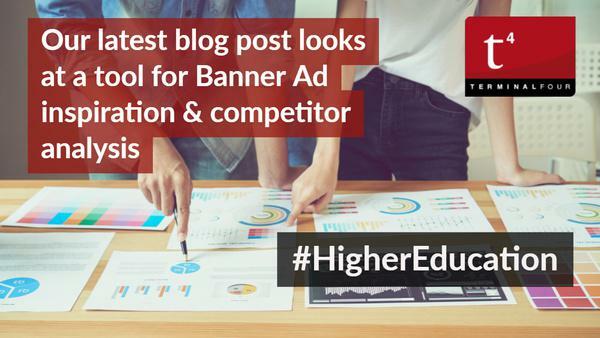 Keeping up with your Higher Education competitors? I firmly believe that you can't be good at anything without constantly learning from others. While as marketers we want to be true to our brands and be creatively autonomous, we also need to be open to inspiration. We can adapt and improve existing ideas for our own audience. This is where Moat.com comes in. Moat is essentially a search engine for paid advertisements across the web. You can search by a brand name to see what ads they are currently running. It shows you the dimensions of the ads and how long each ad has been running. For example take a look at the results for the University of Virginia. A bunch of us in the office were recently locked in debate over how we should display a paid ad, when someone called for a trip to Moat. It's been around so long that we had forgotten about its merits! 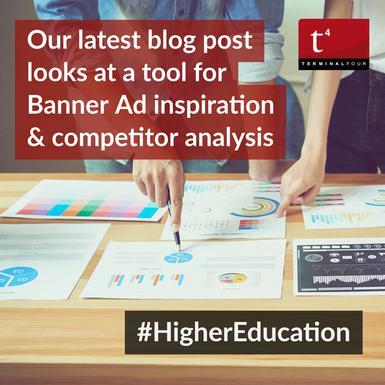 By comparing ads that had a similar goal to ours, it helped us craft the right message for us. Let us know, How do you get inspired when it comes to creating ads?